I thought that Selby-Ricketts had declined this year's selection in the Highlanders squad in order to add a few kgs of muscle. @cgrant He signed a dev contract for this year and joins the full squad in 2020. H/T v Crusaders 14-7 to Crusaders. Pretty uneventful half Crusaders dominating possession and territory. Coleman and Parkinson strong for Highlanders. Crusaders backs look sharpe but Mataele is very dangerous for them. Jordan scores in last minute for Crusaders win. Very open in end. Fakatava looks a prospect and Jordan looked likely every time he touched it. I read somewhere that the Bravehearts played a game today. Does anyone know more? I think they played a NSW team. 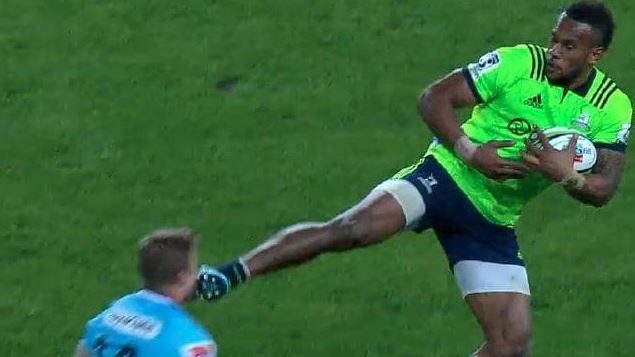 The Highlanders have lost big winger Tevita Nabura even before the season has started. Nabura (26) injured the anterior cruciate ligament in his knee at training last week and, after examinations over the past few days, medical staff have decided he needs an operation which will end his season. The Highlanders Bravehearts have secured a decisive 43-19 victory over the Crusaders Knights. Tries; Slade 2, Folau 2, Isaac te Tamaki, Faddes, de Groot. @Tim I can't see what you posted (the article doesn't appear). Edit: it appeared after about 5 minutes. Pretty fragile for the "All Black Enforcer"
Liam's had some terrible luck with injuries. Before he even played for the Mako, he fractured some vertebrae and over the years he's missed plenty of time for the Mako with injuries. Same with the Highlanders and probably the Chiefs and ABs as well. Nepia last edited by @Chris B. He's like a combined SBW/Crotty in the forwards. It’s definitely time for him to cash in overseas. So, how about his place in this year’s side? Does he have enough time or is he now the most under threat? I think Frizzel has looked an AB and we’ll need a back-up starting option, at the least. Of course my preferred option is to have Akira there. I’d love it if the Saders asked Read to play one game at blindside- this place would go mad. @Machpants Yes, but I'd rather see them use SB as a back-up for Retallick and Whitelock. His ability to play at 6 should be secondary to his role at lock.